Last night was a unique experience. 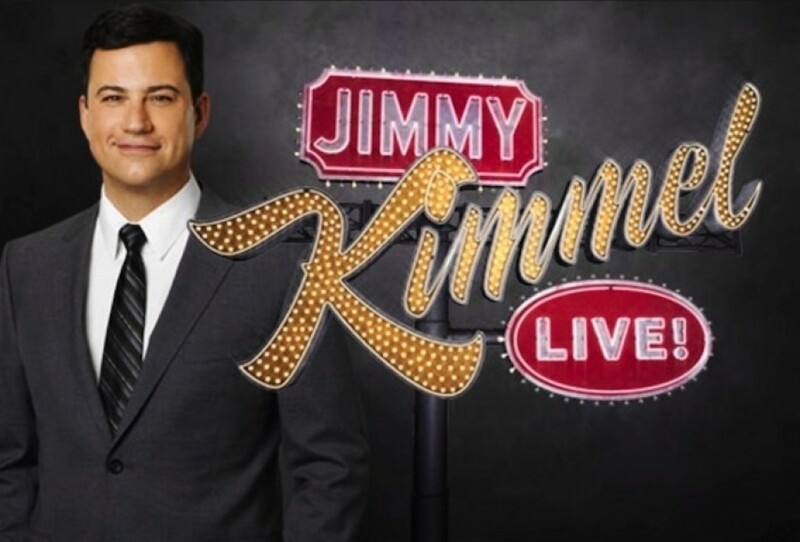 Thanks to Nina and her friend Angela (the receptionist for the show), my girlfriend and I along with some of their friends got to enjoy the Jimmy Kimmel Live show from the green room! I wasn’t sure what to expect, but basically the green room (at least in this case) is sort of a backstage hangout for friends and family of the show and/or actual employees. It’s a posh little chill spot with couches and chairs plus free snacks and free drinks! There were no cameras allowed and I didn’t risk getting booted by whipping out my iPhone, so I have nothing to show you, but if you’ve ever been to a nice club or lounge in L.A., you’ll get the gist. The only difference is that the walkway from dressing room to stage runs straight down the middle of this quaint room. We got there in time for the first guest and got to see Emily Blunt walk onto the stage for her interview. There are plenty of tv screens in the back to watch the show, which is also a unique experience due to it being live before anyone else gets to see it on tv. Anyone who watches the show knows that they usually do little ‘inserts’ before commercial breaks to introduce the next guest and tonight was no different. Some comedian named J.B. Smoove walked in and over to the bar to get a 3-second shot of him looking disappointed at the drink he was just served. I didn’t even know who it was until he walked out on stage and started talking! As the show was going on, the producers came back and asked if anyone wanted to go watch the Editors perform so we went upstairs to the performance stage and because we were considered V.I.P., we were in the very front. They filled in the rest of the room with guests from the audience and I’m pretty sure we got on camera that night. Overall, a very fun night.